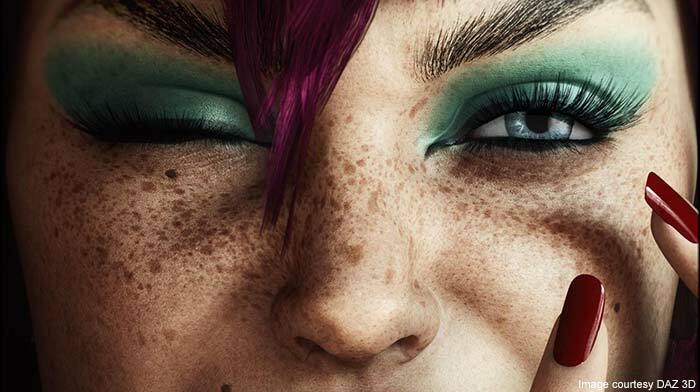 Ever wanted to “dirty” up the look of your female models? Skin Builder 3 gives you tools to alter the textures for Genesis 3 Female 3D models, and as such change their appearance with all kinds of cool effects such as aging, bruises, freckles and extra details. However, for most operations or effects you choose, the plugin re-maps all the textures and I mean ALL of them. Don’t worry, they go into a new folder, but by re-doing all the textures, it can take quite some time to adjust things to your taste. It’s not directly “instant” so to speak. The effects are great, but I’d really prefer to have this done “live” like it is when blending two or three images in Photoshop. If you want to check this out in the DAZ store, click here. Next PostStonemason’s Streets Of Asia 1, 2 & 3 – 3D Model For DAZ Studio – Review – Which Is Best? Thank you for sharing that product review that you have created. Thanks to it, I have claimed sufficient insight that elevated my intent for purchasing it. But, I would like to have that application to work with Genesis 8. It is not clear to me, if this version may already exploit all what Genesis 8 features, in depths to the terms of geometries and resolutions.